E-commerce web sites are more popular than ever with entrepreneurs, but many people still don’t realize how vital search engine optimization (SEO) services and practices are to lasting success. Any successful e-commerce site uses SEO to reach their target consumers and sell their products and services. In fact, SEO is even more crucial to e-commerce businesses than it is to brick-and-mortar businesses, which can sometimes rely on their physical presence or an established reputation. E-commerce businesses need to be able to stand out in a crowded field. Here are a few reasons why e-commerce web sites benefit from SEO. The main method through which people find e-commerce businesses is by using search engines. In fact, being at the top of search engine rankings is where most of your traffic—and subsequently, sales and revenue—will come from. Research into internet users’ buying patterns indicates that the vast majority use search engines in their buying process. This means that if you aren’t using search engines and SEO effectively, you have ruled out the vast majority of consumers and clients from ever doing business on your site. If people cannot find your web site, then they will not make purchases and you will fail to grow as a business. And even if people are aware of your site or business, they will likely use a search engine to locate your web address. Poor search engine rankings will give other companies an opportunity to pinch your customers. Many e-commerce sites start out as small operations, which means they must use their advertising budget as efficiently as possible. One of the biggest benefits of SEO is that it is incredibly cost-effective and affordable compared to any other marketing method. Buying ads or paying for web traffic can be prohibitively expensive; SEO, on the other hand, allows e-commerce sites to reach wide audiences for relatively little expense. By using SEO, web sites do not end up paying more for higher volumes of traffic, which they do with other methods. This means that quality, professionally executed SEO can bring in a high volume of traffic for much less than any other marketing method. SEO’s cost effectiveness also allows e-commerce sites to compete with larger companies. Ultimately, using a search engine optimization company is cheaper than any other method. One of the great things about SEO is that, unlike other forms of marketing, it directly targets the consumers who want to use your business or service. This is because the people it attracts will have searched for whatever niche or industry your e-commerce web site serves. This makes SEO unique among marketing methods, which typically cast a wide net and only catch a small amount of relevant customers. With SEO, you can directly target the people you want and connect them with your site. SEO is also unique in that it’s a long-term investment. You can expect to have your SEO continue attracting customers for years, particularly when using professional services from an SEO company. Your content always remains online and always remains a way through which people can connect with your web site. 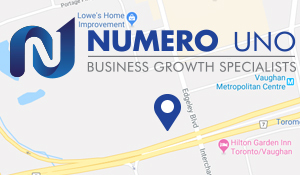 Numero Uno Web Solutions is a provider of search engine optimization solutions to startup and small companies from all industries and fields. We stay on the pulse of industry changes and adapt our practices to produce quality SEO and content marketing plans to fuel the growth of businesses across communities. Click here to learn more about content marketing techniques and how we can help improve your search profile.